Pest control forms an extremely important part of any landscaping project. This is because pests are bound to be attracted to this natural habitat you have created where they can get plenty of foliage, damp soil and a peaceful breeding atmosphere. Discussed below are a few ways to take control over certain pests that love to invade your beautiful backyard. Mosquitoes love moisture and small pools and puddles where they can breed uncontrollably. If your lawn has lots of these pesky trouble makers then you can plan on eradicating them using a mosquito repellent or even better a mosquito magnet. Using repellents is not advisable as they contain heavy chemicals that can cause hard to your plants. Mosquito magnets on the other hand can be a highly effective solution for landscapes. A mosquito magnet emits a gas that smells like human breath. Mosquitoes get attracted towards the machine and die through dehydration. By following these instructions, you can easily ensure a check in the mosquito population. Earwigs or similar insects are quite common in landscaped gardens that have piles of lawn debris, leaves and foliage. Given below are a few tips to deal with earwigs. Make sure to regularly clean your landscape of lawn debris and dry leaves. Animal pests are as common as insect pests in most landscape gardens. The worst part about dealing with animal pests is the law in certain areas that can prevent killing of animals. So the best way to deal with them is to discourage their entry. Make use of live traps around areas frequented by animal pests to capture and remove them alive in far-off areas. 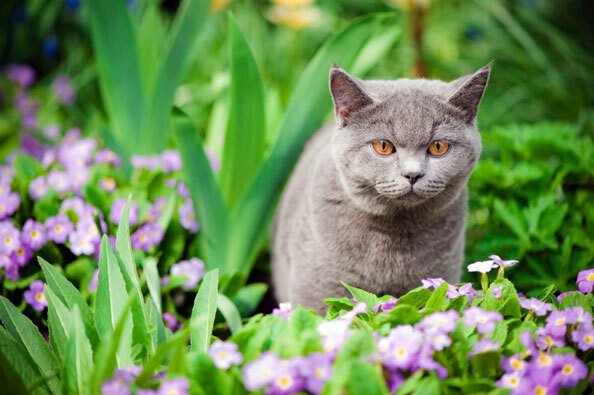 If you’re looking for an ethical solution to keep cats out of your garden visit The Scaredy Cat to learn more. Organic pest control involves making use of common organic products to create powerful anti-pest concoctions. Organic methods generally involve use of insecticidal soap, Neem oil, hoticultural oil, Ground seeds of the sabadilla lily, Pyrethrins (found in powder form and dusted on leaves) etc. Most of these organic products are available at home and with a little knowledge you can easily create anti-pest treatments at home.to find various organic garden pest control methods in an easy to understand tabular format.